Lola Louis’ Creative and Performing Arts, Inc. (CAPAS) is a 501(c) (3) studio-based creative and performing arts program. 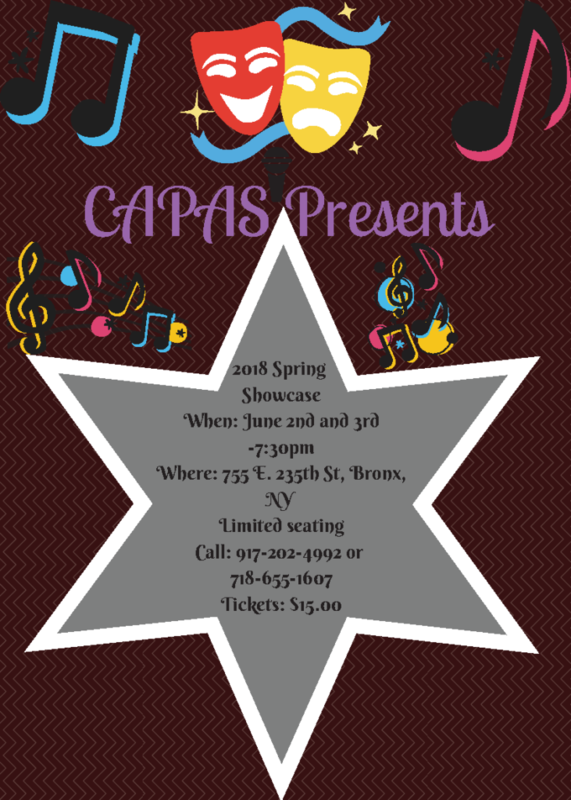 CAPAS aims to develop the minds, bodies, and spirits of children (four years old and up) and adults by utilizing the creative arts process. To this end, CAPAS fosters the development of artistic skills by providing a supportive environment for creative fun and the freedom of artistic expression and ideas.